Cucapá Obscura. Hmmm Mexican craft beer. The description on the website has me really excited to try this beer. It was a “2007 world beer champion” finishing with 91pts in its category/style American-Style Brown Ale. There currently is a trend in craft brewing towards lower ABV and higher drink-ability and while I am certainly a big beer lover it doesn’t mean I shouldn’t or couldn’t enjoy a easier drinking ale. While Obscura is light in ABV at 4.8% it brings a lot to the table flavour wise. It’s well balanced and drier but has enough complexity to not leave you bored and is exceptionally refreshing. I actually wanted another of these so we’ll note that for later into the calendar and use it as a benchmark. I’m not sure exactly what I would compare this beer too I honestly don’t drink too many brown ales but I really enjoyed Obscura so I may have to explore this style more. 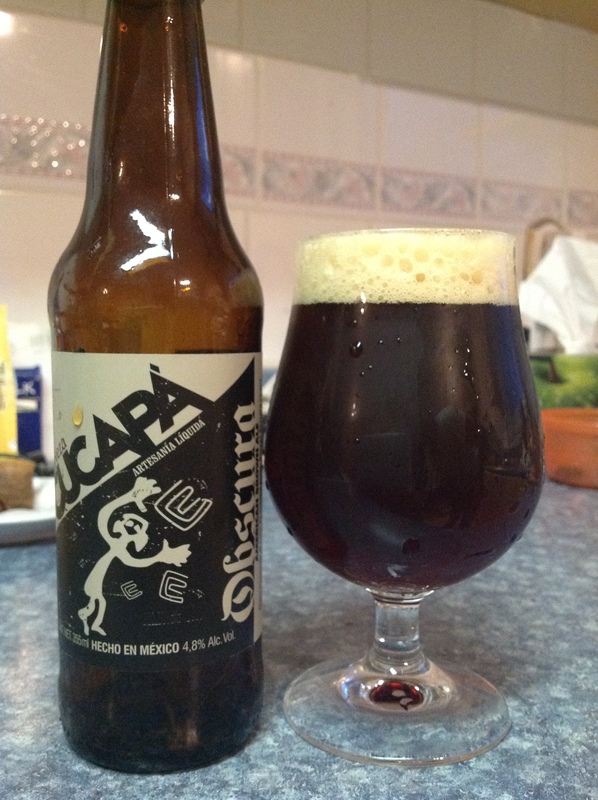 Hats off to Cucapá at any rate hopefully we get to see more of their stuff in Canada soon. WCBL out.